Eating a diet focused on whole foods, especially fruits and vegetables, is the best way to stay healthy (not to mention rock those skinny jeans). But the pesticides used on many crops remain a major health concern as they disrupt the normal functioning of the nervous and hormone systems, as well as increased risks of cancer. Therefore, by choosing organic and locally-grown produce, you can take advantage of the health benefits of fruits and vegetables without exposing yourself and your family to potentially harmful chemicals. 100% Organic = According to the USDA, organic food is produced without using synthetic pesticides, petroleum-or-sewage-sludge-based fertilizers, bioengineering, or ionizing radiation. Organic = at least 95% of the ingredients are organically produced and the food does not contain sulfites. Made with organic ingredients = at least 70% of the ingredients are organic; the remaining 30% must come from the USDA’s approved list and cannot contain sulfites. Each year the Environmental Working Group (EWG) updates their Shopper’s Guide to present the newest “Dirty Dozen Plus” list – produce that contains the highest pesticide residues, as well as the “Clean Fifteen” list – produce least likely to hold pesticide residues. This can also help you save money because it highlights which foods you should buy organically. Organic meat, poultry, eggs and dairy products should come from animals fed 100 percent organic feed and given no antibiotics or growth hormones. This food is extremely beneficial because 70% of the antibiotics produced in the US are fed to healthy livestock to promote growth and reduce disease, which in turn leads to antibiotic resistance in humans. Not to mention the growth hormones used in dairy and livestock can cause an increased risk of cancer, including breast, prostate and colon cancers. Whereas pasture-or-grass-fed animals’ meats contain vitamins A and E, four times the amount of the anti-inflammatory omega-3 fatty acids, and more conjugated linolenic acid that is cancer protective and promotes healthy weight. Pasture-raised hens produce eggs with 20% more omega-3 fats and 30% more vitamin E than factory-farmed eggs. Buy organic produce and meats as your budget allows. 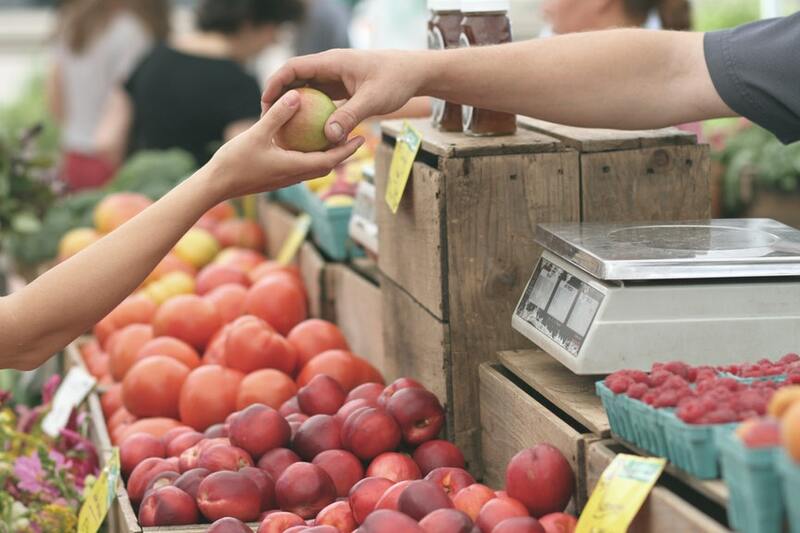 Farmers markets are a fabulous resource for more reasonably priced, locally grown foods. It’s a great idea to buy in bulk and freeze for some organic home cooking!